Hey, guys! 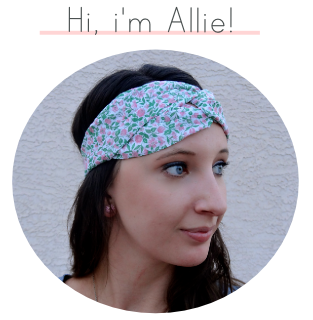 I'm back today with another beauty review! To start this off, you should know that I have suuuper sensitive skin. Over the course of adolescence all the way through right now into adulthood, I have suffered from everything from eczema to cystic acne to dark bags under my eyes. Needless to say, my skin is not always the easiest or most low maintenance part of my beauty routine. Therefore, when InstaNatural offered to let me try out some of their products, I jumped at the chance to see how my finicky skin would react to these cruelty-free, vegan products. Check out below to see which steps I took to test out this skincare line and my thoughts on each! 1.) I rinsed my face with lukewarm water to get my makeup off of my face. 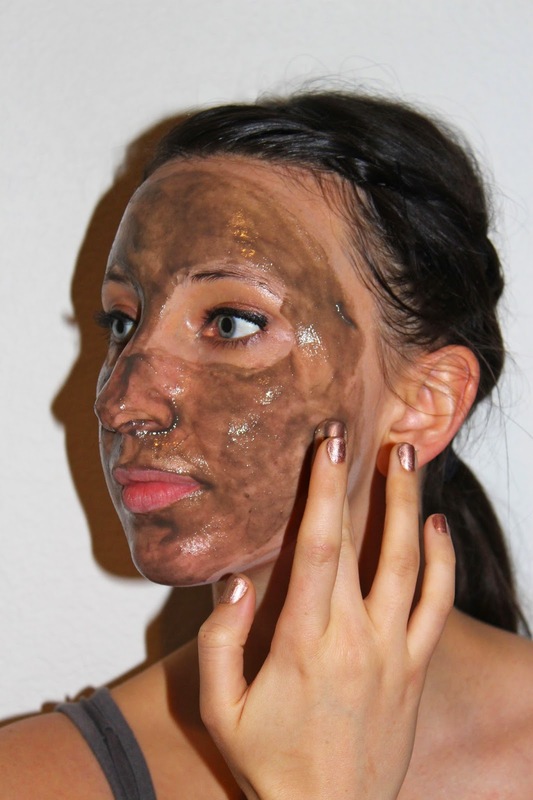 Then I applied the Dead Sea Mud Mask directly onto my skin with my fingertips, avoiding my eye area. (It's cold to the touch at first, but once it hit my skin, it was so cool and refreshing!) I left it on for 15 minutes. By the end of the timeframe, my skin was tight and itching. As soon as I rinsed it all off though, those sensations were gone and my skin felt well-hydrated. 2.) After my normal cleansing, I put a few drops of the Age-Defying Retinol Serum in the palm of my hand, rubbed them together, and gently applied it onto my skin. It feels pretty sticky, so I was extra careful around the more sensitive skin areas. 3.) The last step for my new nightly routine, involved applying a pea-size amount of the Youth Express Night Cream onto my face, which felt silky to the touch. It left my skin smooth; however, I could still detect the stickiness from the serum. 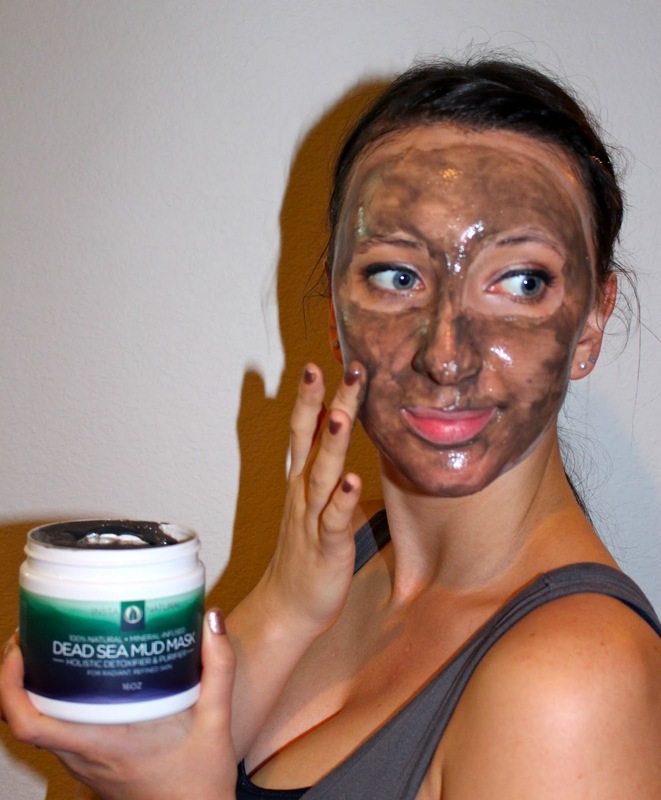 Overall, my favorite product of these three would have to be the Dead Sea Mud Mask. Although it didn't make any huge difference in getting rid of my blemishes, the mask did leave my skin glowing and refreshed, without the overly dry feeling so many masks tend to leave behind. The Age-Defying Retinol Serum was pretty good, but the sticky texture may take some getting used to, as well as more time to see true results. As for the Youth Express Night Cream, I loved the level of moisture it provided. Personally, I would recommend this skincare line to anyone who doesn't suffer terribly crazy, unpredictable skin. If you suffer from acne, my [not professional] personal opinion would be to maybe try something a little more intense with salicylic acid and/or benzoyl peroxide, as well as talk to your dermatologist for guidance. These three particular InstaNatural products seem to be more ideal for someone who may have more "normal" skin, but I think everyone could benefit from the Mud Mask. Great post, I think people should learn a lot from this site its really user pleasant. So much excellent information on here :D.